So you took our introductory clinic already, or maybe you’re just new to CIBBOWS and want to swim in a group instead of on your own. This group swim, open to members who can comfortably swim at least a mile, is a great way to meet up with others and perhaps find other people your speed to plan future swims with. You will head out with 2 experienced leaders and swim in a pack, pausing at each jetty to allow slower swimmers to catch up. 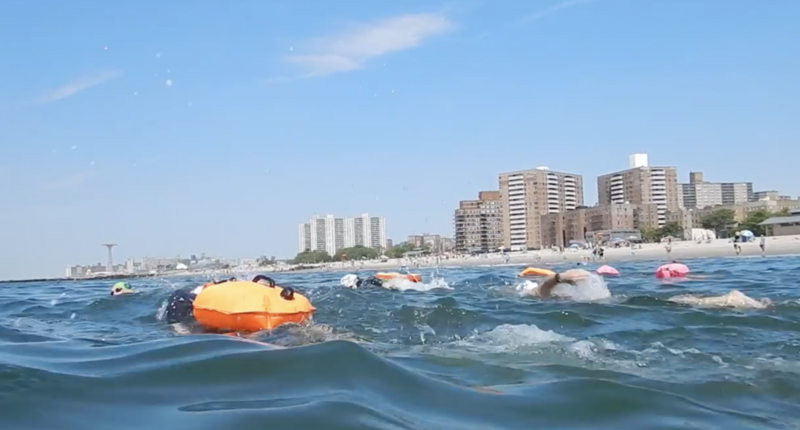 This is different than our intro clinic or our jetty drills in that it’s just a fun swim! Maybe you’ll head to the pier and back, maybe just to the aquarium – distance depends on the leaders and the group swim participants. Expect to stay out from 1.5 hours to 2 hours or a little more. You can turn around and leave the group as long as you let a leader know. Limit 12 swimmers per group. These organized group swims are for CIBBOWS members only. Non-members are still welcome to hang out and meet up with people to swim with on their own.